On the heels of a busy growing season, Grain Farmers of Ontario launches a partnership with Top Chef Canada Finalist, Jonathan Goodyear who will represent the province’s corn, soybean and wheat producers in his new role as Grain Farmers of Ontario’s Resident Chef. Over the summer, Jonathan became even more familiar with grains, both in the kitchen and on the farm. Born and raised in Ontario, Jonathan has a true appreciation for using home-grown ingredients and supporting our local farmers. Communications Coordinator, Mackenna Roth took Jonathan to Hollinger Farms of Manilla, ON,District 11, to meet young farmer and Grains in Action graduate, Matt Hollinger and learn about the industry firsthand. More than just heavy equipment and corn fields, Jonathan was very interested in the farm story—the passion, innovation, science and technology Ontario’s 28,000 grain farmers, like Matt and his family are using to produce quality crops for the province and beyond. Over the next eight months, Chef Jonathan will be sharing original grain dishes through television segments and at The Royal Agricultural Winter Fair, demonstrating simple, yet delicious recipes for every occasion. With Chef Jonathan on the team, Grain Farmers of Ontario hope to inspire Ontarians to incorporate corn, soybeans or wheat in their next meal. 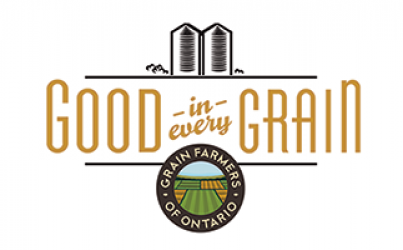 Jonathan is thrilled to be working with the Grain Farmers of Ontario as their first Resident Chef, getting the chance to develop original and creative recipes while helping connect consumers to the people behind grains. He explained to Mackenna at the farm that he has always had an enormous amount of respect for farmers, “Without Ontario Farmers, I couldn’t do what I love.” For these reasons and more, we’re confident this relationship will usher in a new understanding of the industry and how to easily incorporate grains into everyday meals. A huge thanks goes out to Matt Hollinger for sharing his story and hosting Jonathan and Grain Farmers of Ontario at his farm! Tune into Hamilton’s CHCH Morning Live on Wednesday, September 4th at 9:15 a.m. to see how to use grains to create simple, after school snacks. Learn more about Jonathan below and check back for recipes throughout the year. For Jonathan Goodyear, a love of all things culinary started early. Jonathan’s first job in the kitchen was as his mother’s assistant, lending a hand wherever she allowed. It was on a European adventure that Jonathan realized cooking was his true passion and after attending George Brown College for the culinary arts, his career in the industry catapulted. Jonathan BWBorn and raised in Ontario, Jonathan has worked across North America and Europe, his title ranging from commis, tournaut private chef and executive sous chef. In 2013 Jonathan took on the challenge of competing on Top Chef Canada where he learned the value of good healthy competition making it all the way to the grand finale. Presently, Jonathan is the Executive Chef at the Royal Canadian Yacht Club where he oversees an extraordinary team, and seven exemplary restaurants in the Toronto area. Throughout his food journey, Jonathan has always respected and admired the farmers that produce the food behind his culinary masterpieces. 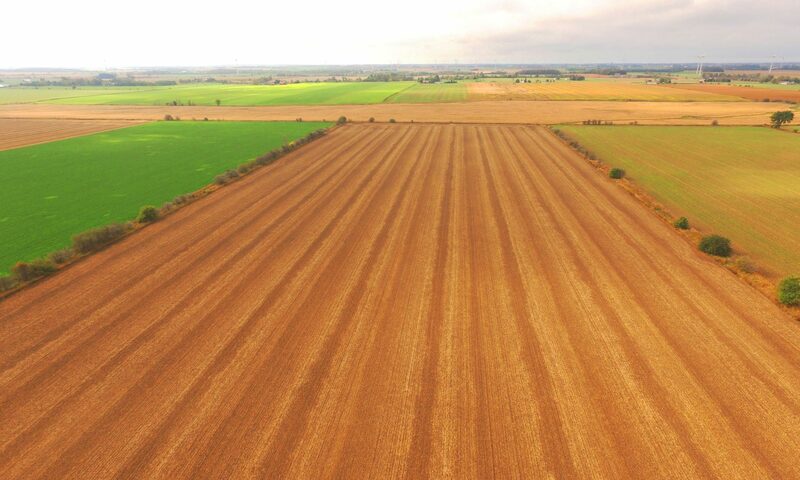 This year, Jonathan is excited to demonstrate the farm to fork journey as Resident Chef for Grain Farmers of Ontario, which represents 28,000 corn, soybean and wheat growers across the province. While it’s sure to be a busy year for Jonathan, he is looking forward to the great adventure ahead. Jonathan lives and works in Toronto with his family.